Congratulations to Lisa Alber, winner of Elizabeth Lyon's SUBTEXT. And thanks to everyone for a great day yesterday! (Lisa, email me with your choice, print or e-book... "hallie" at hallieephron dot com. In it, poor Stanley Yelnats (Yelnats, by the way, is Stanley backwards) is unfairly accused of stealing the smelly used sneakers of baseball great Clyde Livings (actually they fell from the sky and landed on his head). He's sent to Camp Green to serve out an 18-month sentence. Stanley and his fellow inmates are roused before dawn each day to dig holes in the dry flat lake bed. Only Warden seems to know what they're looking for. It's hilarious, and the jigsaw puzzle pieces of plot fit together almost miraculously at the end. My favorite camp movie? Dirty Dancing. Was Patrick Swayze hot or what? We all wanted to be "Baby." What are your favorite summer camp books, movies, songs... foods even? DEBORAH CROMBIE: Favorite camp movie? The Parent Trap. Dirty Dancing comes in second. Songs? Summer in the City by the Lovin' Spoonful. Beach Boys, of course. And the Stones. RHYS BOWEN: Oh Debs, I loved the Parent Trap. Let's get together, yay yay yay. And I thought the movie of Holes was brilliant too. Favorite summer books are ones that have a great sense of place but don't require too much concentration. Currently re-reading Mary Stewart's This Rough Magic as it's set in Corfu and I've just returned from Greece. Summer foods? A picnic on a headland with blue water below me, a baguette, French cheeses, ripe peaches, maybe cold barbecued chicken, or oysters, or cold spiced shrimp--you can tell I'm writing this just before dinner and I'm hungry, can't you? And is there anything better than Summertime (and the livin' is easy)? For a lark I once made a tape of all the different versions I had of that one song. Lots. Can't think of any summer books though. Music: Do you know the Basia song--I thnk it's called Time and Tide? And Girl from Ipanema. SO summery to me.. And the Beach Boys Imagination. It's perfect! And my grandson Elijah and I were JUST discussing HOLES last night! He loves it! I don't. And there you have it. Summer food? Lobster. Gin and tonic. Prosecco. Prosciutto and melon. LUCY BURDETTE: I would have done anything to be "Baby" to Patrick Swayze in DIRTY DANCING. 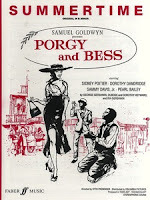 The wonderful way that movie built the tension as she learned to dance--"Nobody puts Baby in a corner!" Now that is reminding me of the dancing in SILVER LININGS PLAYBOOK, which I also loved Hallie. Learning to dance with a hot instructor--can't beat that! HALLIE EPHRON: What are your favorite books that evoke summer -- camp songs? movies? Can't believe no one mentioned barbecued steak. Mmmm. Singing at camp in rounds: Rose, Dona Nobis Pacem. Root beer floats, preferably consumed while reading under a shady tree. Ripe apricots off the tree. And what about s'mores?! For music, "My Baby Wrote me a Letter" - okay, has nothing to do with summer, but it was hot in the summer when I was in high school! Ah, the joys of summer . . . Scout camp . . . . foods: lobster, oysters, blueberries . . . song: I’m with Rosemary, “Summertime” is a great song . . . film: “The Parent Trap” [but only the original with version with Hayley Mills] and “Dirty Dancing” are both great . . . summer book . . . you’ve got me on this one --- I’ll read any book at hand and be a happy camper . . . .
And has anyone tried grapefruit liqueur in summer drinks? I haven't..but it sounds good! Don't have a summer book but I do have a summer song: Good Vibrations by the Beach Boys. Favorite food? Anything on the grill. Yummm. How could we have left out s'mores. Thanks, Edith! I had my first one at day camp. It's a lost art, toasting a marshmallow over an open flame until it's just the right amount of melted and blackened. So healthy: pure carbon and sugar. Favorite summer camp book was "In Summertime It's Tuffy," about a teenage girl and her friends who put (they think) a voodoo curse on the camp director. Favorite summer food: Lobster roll hands down. Hmmm, now I want to hunt one down for lunch. My favorite summer camp book is a little twisted - A Question of Survival by Julian F. Thompson, in which teenagers Zack and his girlfriend Toby attend a survival training camp. My favorite chapter, titled Rodman Plummer's Advice, quoted in its entirety: "When the inmates take over the asylum, the smartest thing to do is cross your eyes and piss down the stairwell." It's a 1984 YA book, from one of my favorite YA authors who I think was a couple of decades before his time. I see his books are being released in ebook format now. I miss s'mores! I was an expert marshmallow toaster, never burning them, just getting an even golden brown all around. The trick was finding glowing coals without flames nearby, holding the marshmallow about 6 inches away until a tiny bit of smoke rose from the bottom, then turning it. I always thought someone should invent a slightly curved roasting fork to keep the melted marshmallows from sliding off. Speaking of s'mores, I just read a book (Geoducks Are for Lovers, by Daisy Prescott), where they put Nutella on s'mores instead of chocolate. Must try this! 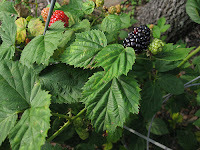 Right now, I have holes in my hands from picking several gallons of wild blackberries at our Kentucky farm this past week. Ouch. Summer in the City: Hot time, summer in the city, back a my neck getting dirt and gritty. Cool cat, looking for a kitty. Gonna look in every corner of the city. My sister and I used to argue whether that was the best song, or her favorite, Red Rubber Ball. I still think mine is the best. Now I think I need to reread Marjorie Morningstar and find the original version of The Parent Trap. And thanks for the mention of Holes. My grandson is about the perfect age to read that one. An aside about Holes: an older male friend was one of the "train children" in the 30's. His father was a bootlegger who was killed in a spectacular raid on their home, with bullets flying as my friend Jim, who was 10 at the time, huddled in the bathroom behind the toilet. (I can't remember what happened to his mother.) Since Jim was an orphan he was sent on a train alone, with a tag pinned to his shirt, to work on a farm in Kansas or Oklahoma. 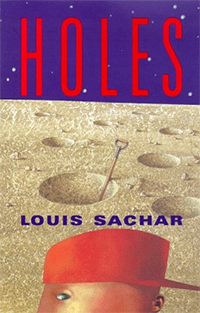 He says when he read Holes it reminded him of his experience there, digging holes every day, and filling them again later. Isn't that a compelling story? Jim had a stroke a couple years ago and now can't communicate, but I keep thinking of questions I want to ask him about that time. Favorite camp book - Marjorie Morningstar - hands down! Favorite camp movie - oh my, Dirty Dancing. sigh. Favorite summer food - steamed crabs. BLTs. and when we're in Ocean City, MD it's eating my way down The Boardwalk starting with Thrasher's French fries, a slice of pizza, some Dolle's salt water taffy along with a chocolate cover strawberry (and knowing I'm going to have a stomach ache, but just not caring). Favorite summer song - anything by the Swinging Medalions and the Tams. Julian F. Thompson - Thanks, Sandi! Writing it down. Love the humor in just that snippet. Anyone who decides to reread Marjorie Morningstar, you won't like the ending. Be forewarned. Better yet, stop before you get to it. And for anyone in or around just south of Boston, BEST lobster roll hands down is on the water at Wollaston Beach, believe it or not, at Tony's Clam Shop (not The Clam Box). Walk on the beach. Great view of the city, too. And I saw actual lifeguards last time I was there so someone must be swimming. for A Double Shot of My Baby's Love. The Summer of My German Soldier - a truly great novel for young readers. Also, Star Splangled Summer by Janet Lambert, one of the Penny Parrish books. Lambert wrote bunches of teen books, that I remember devouring in one sitting. They were all so innocent, but the problems were real to the characters. I recall this one in particular because it was on an Army base in the summer, and the love interest David was soooo swoony. Oops, I realize belatedly these were supposed to be summer camp books, not summer books. Sorry. Need more coffee! A couple of other girls and I did a rendition of "Palisades Park" (with some choreography at the camp talent show, many years in a row. It was a "feature." I remember the summer I read "Gone With the Wind" -- my mother made me go to the pool with the family, so I lay on the concrete with my book, and got a terrible sunburn. So many songs. Movies, not so much, except for old ones on TV. "Rebecca"
Still being high from last night's Paul McCartney concert here in Milwaukee, I have to say that it depends what year and where the venue of summer music was-- but I remember throbbing Beatles music on the terrace of Ferris Booth Hall (that dates me) on the Columbia campus; a Dion Warwick concert on a glorious summer night in Madison, WI, in the late Sixties; the night George Carlin was arrested in Milwaukee for saying "The Seven Words You Can't Say on TV;" A soaring concert version of "Carmen" at Lewisohn Stadium in New York; and incredible rendering of the music from "Don Giovanni" in the courtyard of the Pitti Palace in Florence. Something about music in the summertime (and the song "In the Summertime," not to mention "Summer in the City," "Up on the Roof" and "Under the Boardwalk." And Paul McCarney 20 years ago in Milwaukee's County stadium in the pouring rain, and again last night in a packed stadium in tropical heat. Okay... what is a camp book? Clam rolls and lobster rolls. 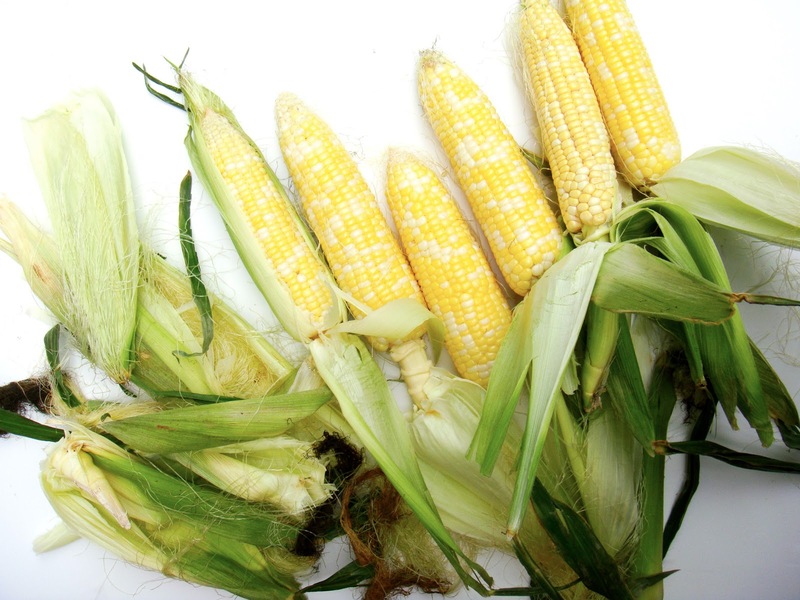 Steamers and corn on the cob roasted in the husk. Auntie-Mom's maple walnut ice cream pie. Hot evening on the back patio made cool with auto-mist and Auntie Cha-Cha's grapefruit switchel. Hank: Auntie Cha-Cha's Grapefruit Switchel is made with fresh thyme sprigs, gin and grapefruit liqueur. Mm-hm. And, for those summers stuck in school… sleeping bags and a movie on the quad with snacks and other good stuff. After dark ditch the Beach Boys and bring on the Wolfman. Ellen, Paul McCartney was here in Boston at Fenway Park last week - I gather if there'd been a roof on the place he'd have blown it off. Wish I coulda been there. Hi Hallie -- I didn't know Elizabeth was giving away SUBTEXT. Somehow I missed that -- just wanted to join in the fun. Thanks! Remember those cheesy Elvis Presley movies. Instead of Donny Osmond, I loved Elvis! His movies remind me of summer. Picking blackberries--yes!--and getting scratches all over my arms and stained fingers and then my mom making her perfect blackberry pie. Nothing summer camp-ish for me. Instead of summer camp, we went to summer school (for my mom's sanity, I think), which I detested. Ellen, SO JEALOUS!!! I saw Sir Paul here in Dallas a couple of years ago. It was the end of his tour and you could tell when he walked out on the stage that he was exhausted. But once he started to play, he was full on, and he kept it up for three hours!!! Best show ever. Close second: The Police reunion tour. Karen, you definitely beat your sister on the songs. Red Rubber Ball? Ack. I love all the songs mentioned and play them on YouTube when I think of it. I also like a little ditty that goes: summmertime, summertime, sum,sum, summertime....by what group I do not know. They kept us so busy at camp as a kid that I didn't have time to read. We did have a hot dog roast and marshmallows to follow once a week there. Oh my gosh. Mousketeers, do you remember Spin and Marty at summer ranch camp? And for a song, how about Sealed with a Kiss.Oh it's gonna be a long, lonely summer. 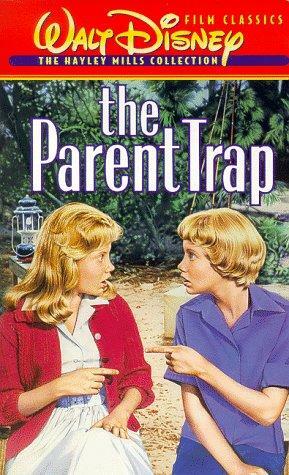 . . Definitely the original Parent Trap movie. But that was when I was a kid. For HS and college years, Beach Boys, Lovin' Spoonful, all those British guys. As for a movie, The Great Outdoors. Poor John Candy and his family are beset by Dan Ackroyd, bats, leeches, smartass raccoons, and a bear with an attitude. Pat D, and along the same lines: See You in September. Summer movies: Just remembering the Flamingo Kid. Matt Dillon was still wet behind the ears. The poor kid who caddies at a fancy country club and, of course, falls in love. And whatever happened to the girl in the movie, Molly McCarthy? And I'm "stick the whole marshmallow in the flames, catch it on fire, let it burn, blow it out" school of thought. Really dating me: movie and best song and dance ever--Picnic. Had to check back in because this movie has been nagging at me all day - Indian Summer, with Diane Lane, Alan Arkin (Unca Lou! ), Bill Paxton, Vincent Spano, Elizabeth Perkins... LOVE that movie. itvernPink grapefruit sections with a pinch of turbinado sugar and some spearmint leaves. A potluck picnic with old friends, where everyone brings macaroni salad and it doesn't matter(all different- all good)! And Hallie, here's to S'Mores! I just watched an episode of Parks and Recreation, in which Amy Poehler's character mentioned keeping S'Mores supplies on hand at all times for emergencies! My kinda gal! Song...? Cliff Richard singing Summer Holiday. The whole album, in fact. Back in 19(mumble mumble) I was at the family cottage and my older cousin brought the Summer Holiday album with her, and we played it over and over and over and I loved it. I can still sing every song with every nuance.